When Lego and Pokemon collide, everybody wins. Filip Johannes Felberg is a Flickr user known for creating lots of different items out of Lego, but forget all that because now he's doing the most important work of his life. Felberg's latest project is to create tons and tons of different Pokemon. He's got to make them all. At least, I think he should. Felberg has nearly 40 Pokemon Lego creations under his belt to this day, so he's got a long way to go. Starting off with everybody's favorite Pikachu, Felberg quickly moved on to others such as Jigglypuff and Koffing. I personally think his skills are improving as he moves along too, with more recent creations like Ghastly even using see-through bricks. 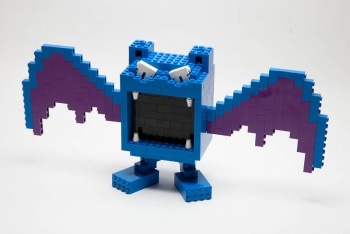 So now we know that Lego Pokemon needs to get into development alongside Lego Mega Man. Felberg is ideally posting four new Lego Pokemon per week, so keep an eye on his Flickr account to check out future creations.